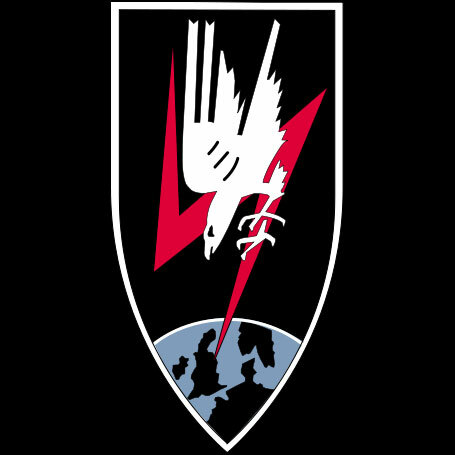 Nachtjagdgeschwader 11 (NJG 11) was a Luftwaffe night fighter-wing of World War II. NJG 11 was formed on 20 August 1944 with one Gruppe (group) consisting of 2 Staffeln. Earlier in 1944 the specialised units of JG 300 and NJGr 10 were tasked with countering the growing threat of the RAF de Havilland Mosquito units. The radar equipped fighter versions equipping No. 100 Group, Bomber Command were taking an increasing toll of the Luftwaffe's night fighters, and the 'Oboe'-equipped Pathfinder and light bomber versions were also proving difficult to intercept and shoot down. NJG 11 brought together the various single-seat high speed units into one Nachtjagdgeschwader to unify these efforts. The FW 190 A-8 and A-9 equipped with the FuG 217 or FuG 218 Neptun V radars were utilised by the unit, though several Bf 109 G-6, G-10 and G-14 models were also used. Thus November saw the fighters of NJG 11 take up specialised high-speed high altitude interception operations against the RAF's Mosquito fighters, target markers and light bombers. Concentrating efforts over the Ruhr and Berlin, tactics were to create lighter conditions by setting up searchlight boxes, forming 'light horizons' to enable pilots to make visible contact with the enemy aircraft. Results were poor however, with only two Mosquitoes claimed over Berlin. In December 1944 the piston-engined elements of NJG 11 gave up sustained anti-Mosquito operations and confined itself to illuminated target defence night fighting against the heavy bombers of the RAF. A twin engine jet aircraft pictured from front-left sitting on the ground in a hangar. The paint scheme of the aircraft is camouflage of various brown and green colours. Two antennas are protruding from the nose of the aircraft. The white number "305" is visible on the nose of the aircraft. 10./NJG 11 under Hauptmann Kurt Welter, an experienced 'Wilde Sau' ace, commenced operations using a handful of single-seat Me 262 jets in December 1944. Seven two-seat conversion night fighter variants, designated Me 262B-1a/U1, were available by April 1945. To make room for the radar operator fuselage fuel capacity was sacrificed, and a pair of 66 gallon drop tanks were fitted beneath the nose. Following trials with radar fitted to a single-seater the two-seaters were equipped with the FuG 218 Neptun V radar, with prominent aerials on the nose reducing the top speed by about 30 mph. According to some sources from January 1945 to the end of the war the Me 262's of 10./NJG 11 claimed some 43 Mosquitoes by night and 5 P-38 and Mosquito photo-reconnaissance aircraft by day, although these figures do not tally with known Allied aircraft losses. Among them six Mosquitos by Feldwebel Karl-Heinz Becker and his radio operator in two weeks, two within three minutes of each other on the night of 23 March 1945. The last kill by III./NJG 11 came on the 21 February 1945, when Obfw Frank in a Bf 109 G-14 shot down a Lancaster near Krefeld. 3./NSGr. 11 was formed 27 Dec 1943 in Jöhvi with Ar 66, and received 20 Fokker C-VE in Mar 1944.